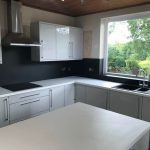 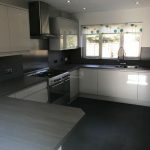 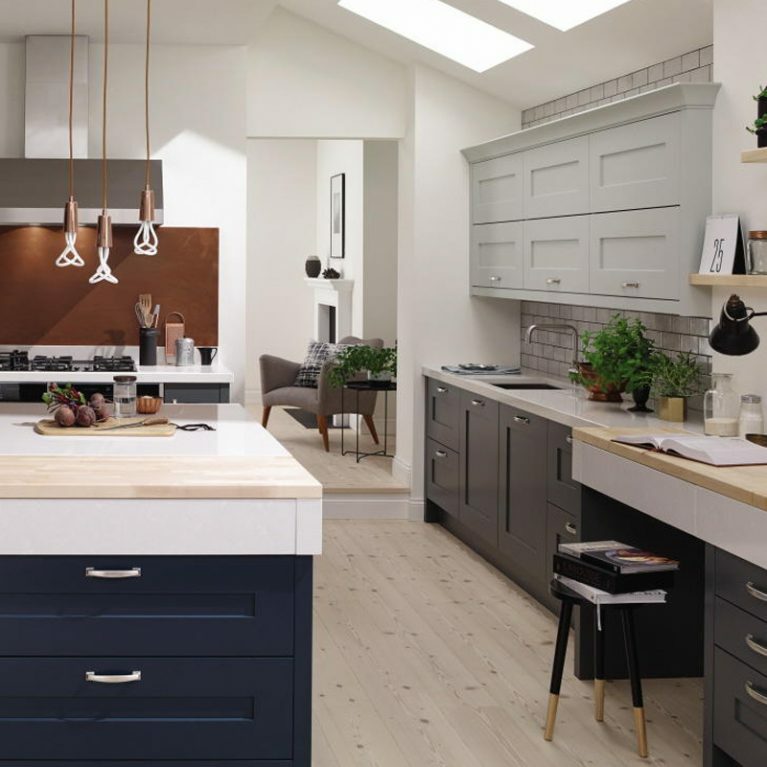 For those seeking a contemporary and effortlessly cool kitchen design to transform their home, Number One Kitchens are more than certain that the Porter Painted will meet your needs. 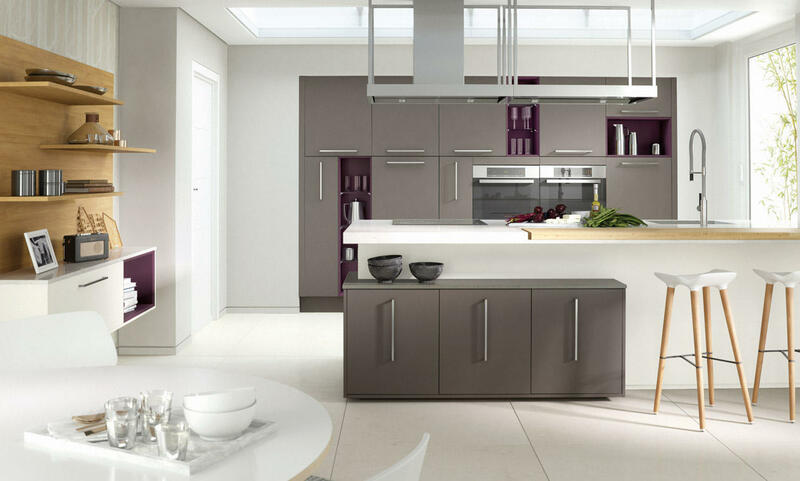 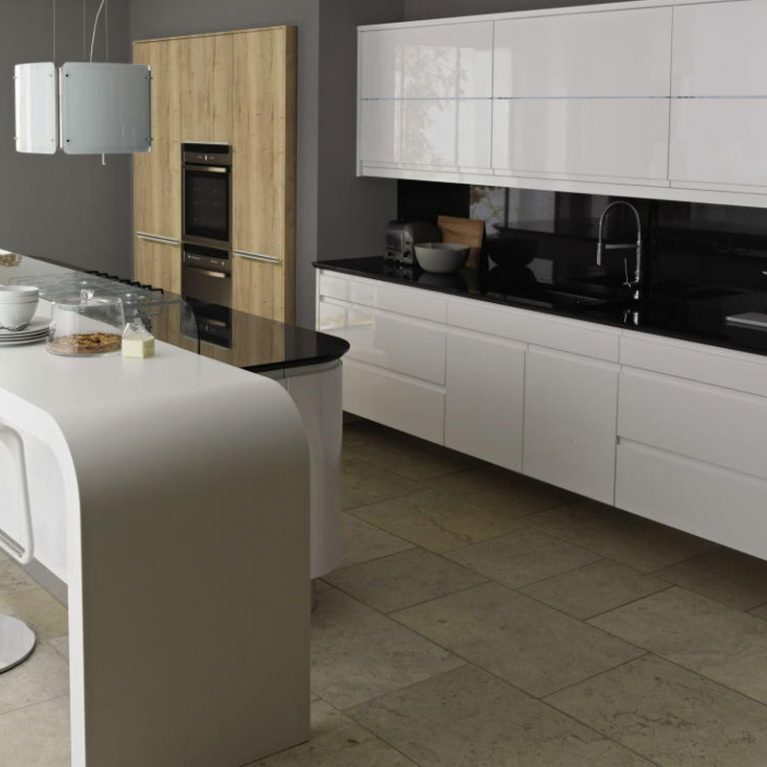 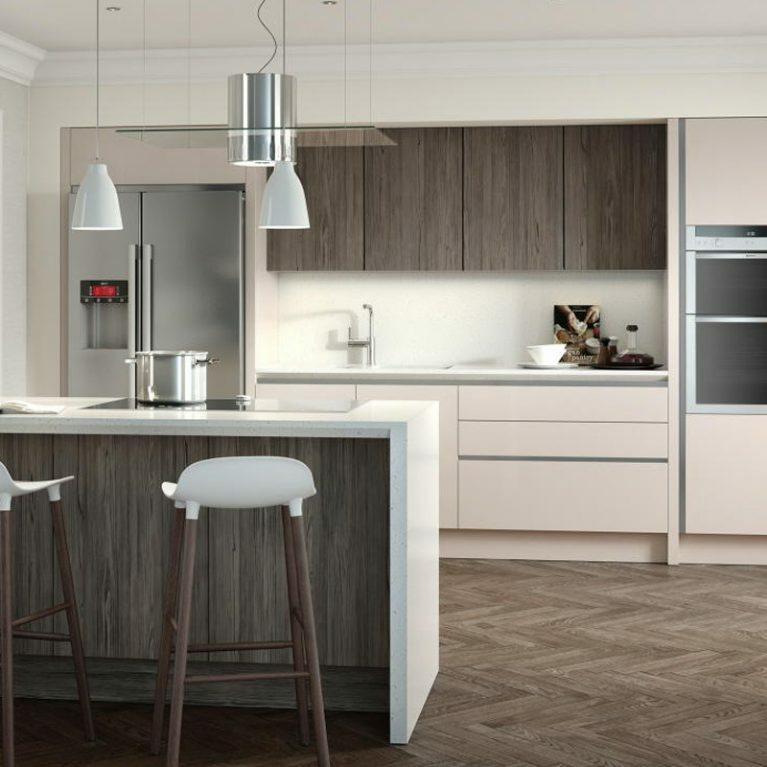 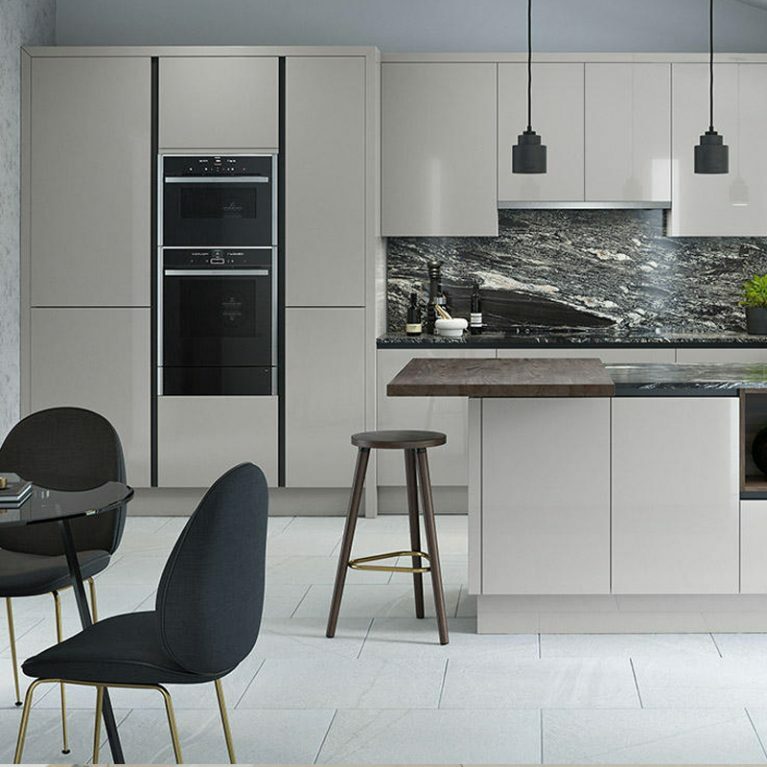 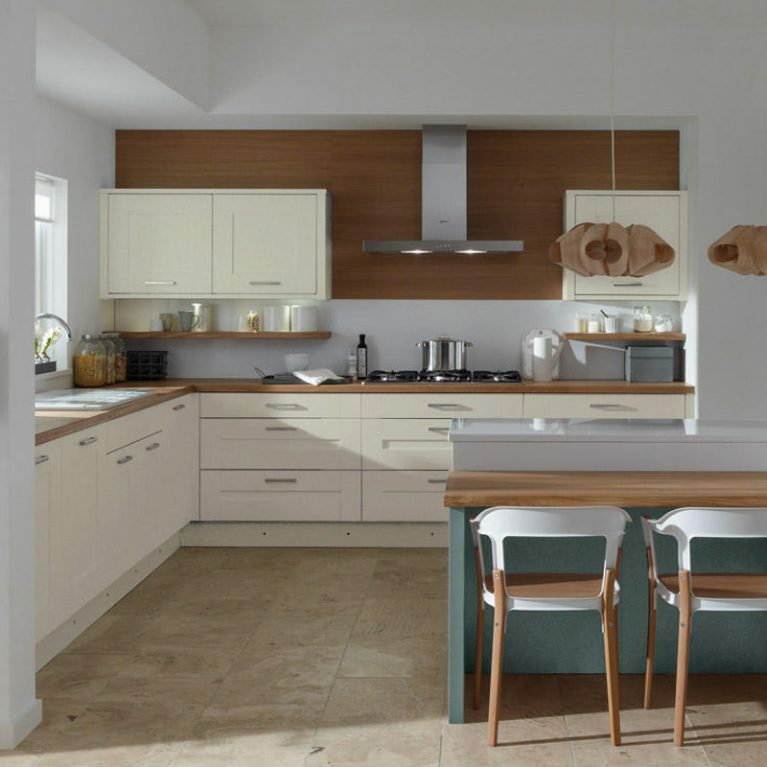 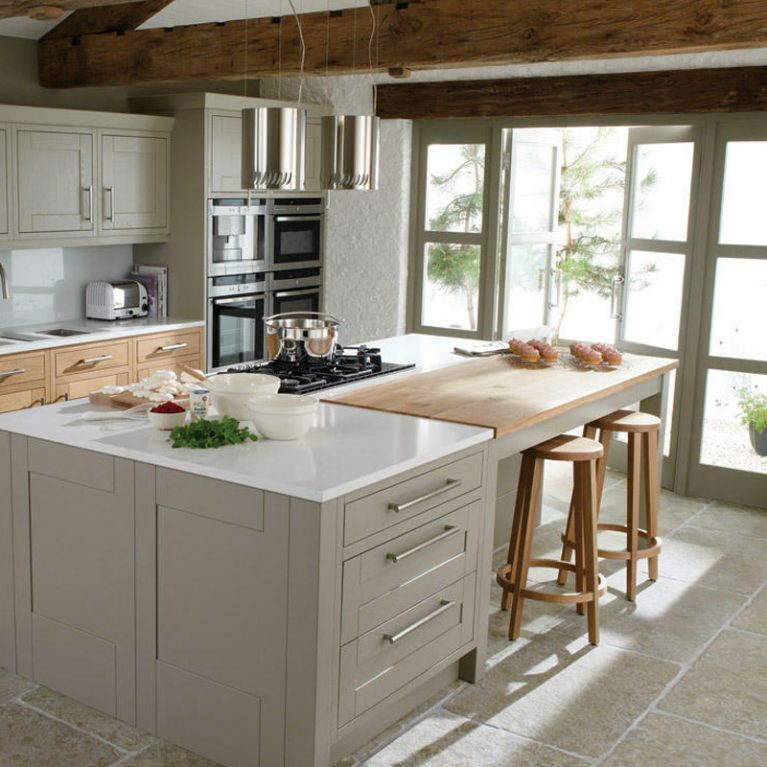 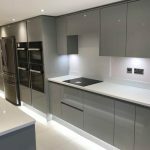 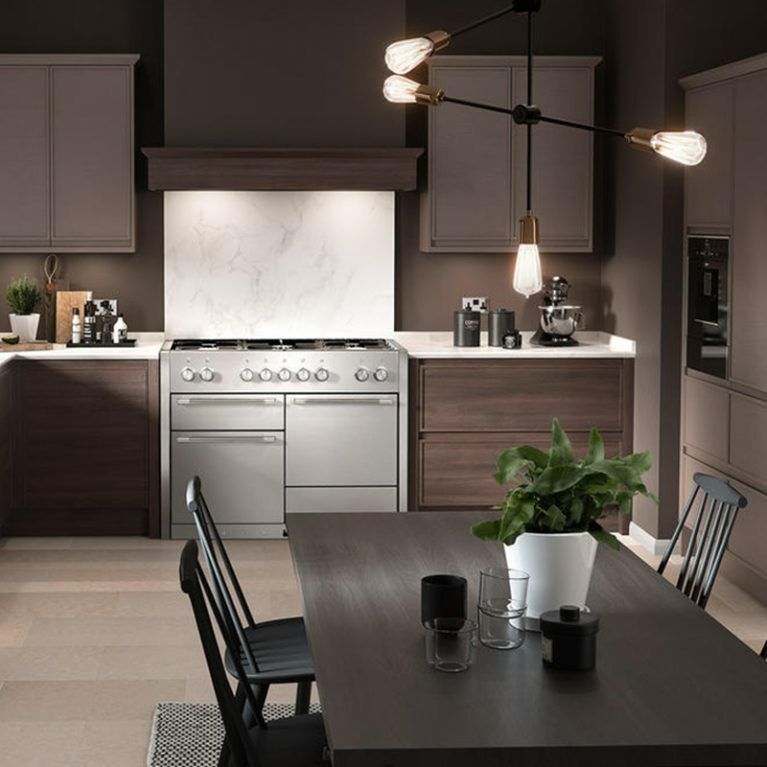 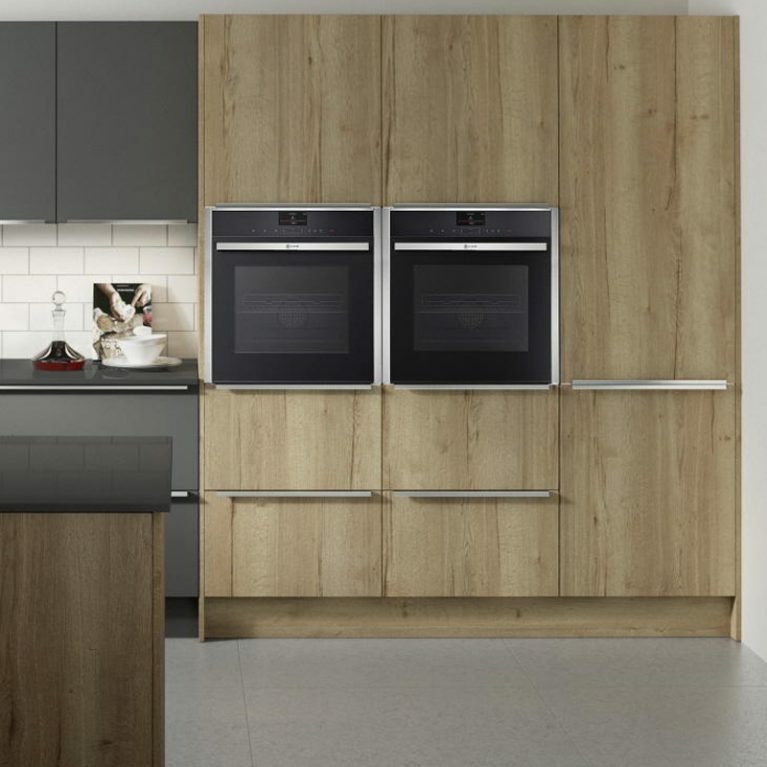 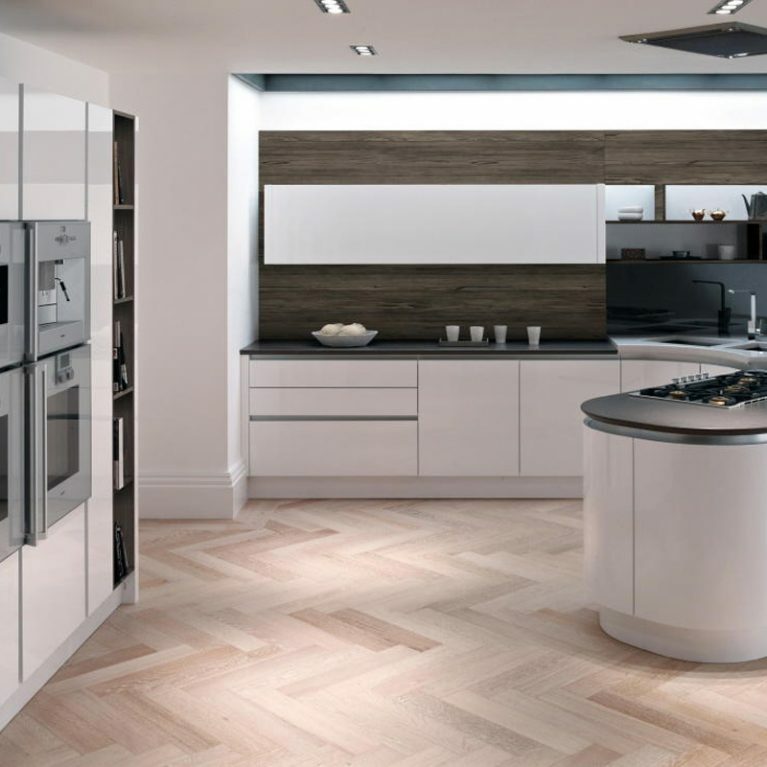 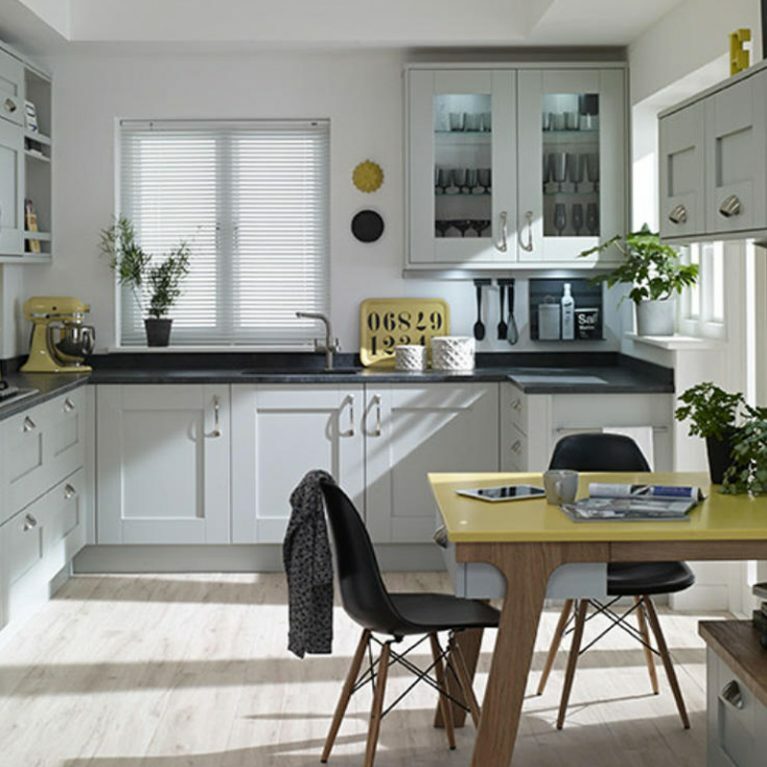 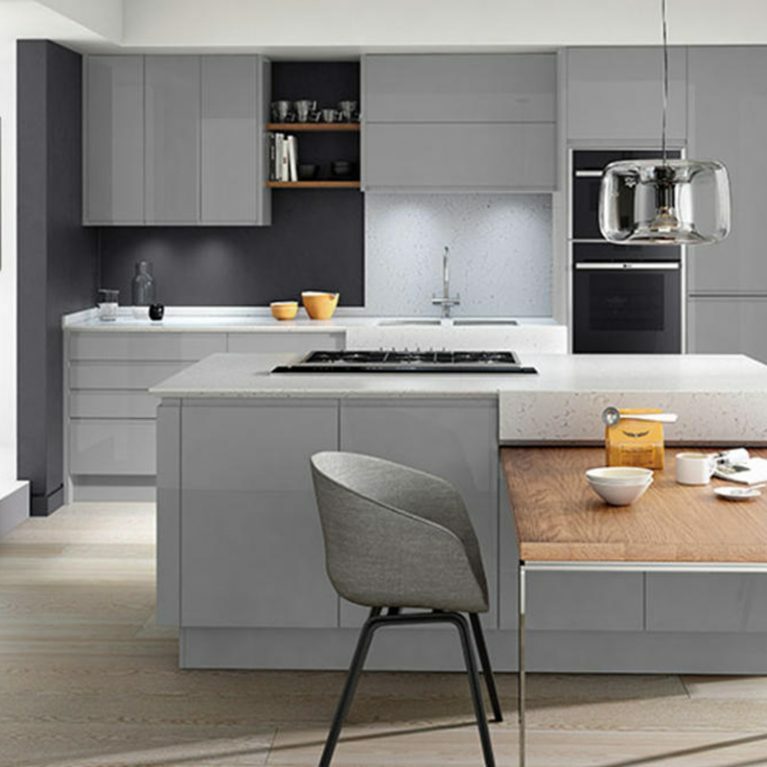 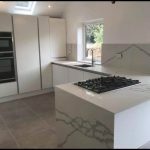 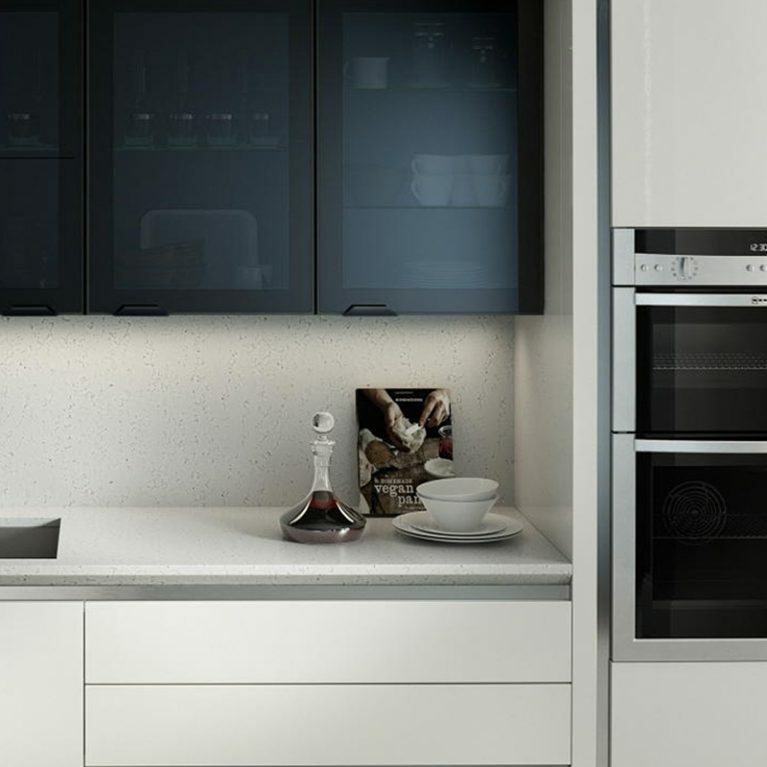 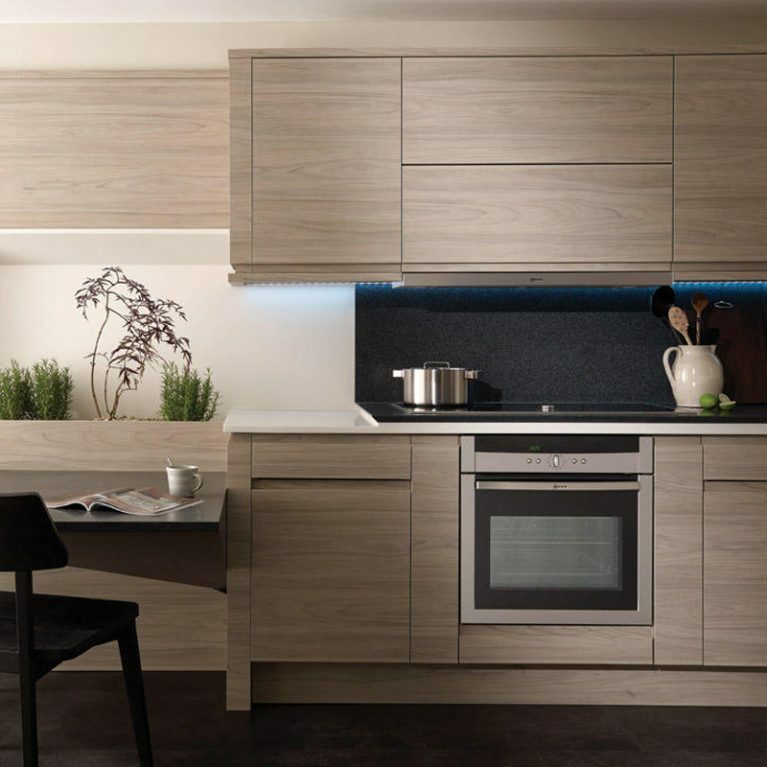 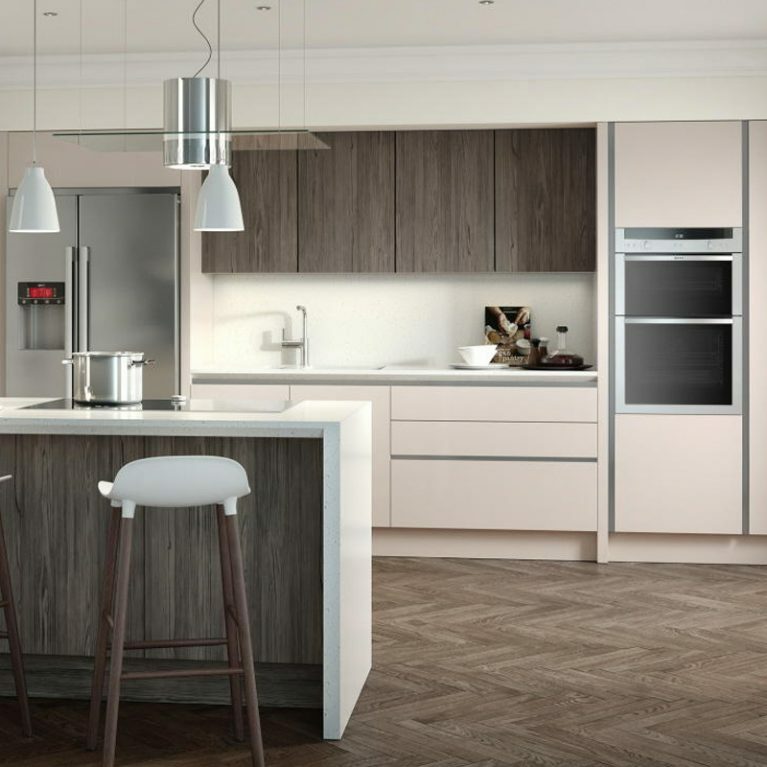 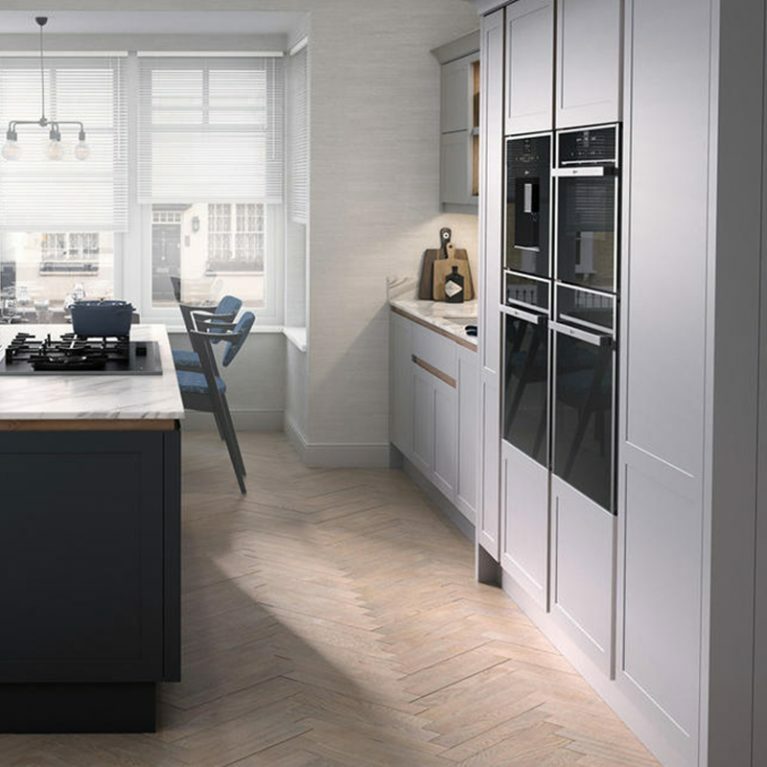 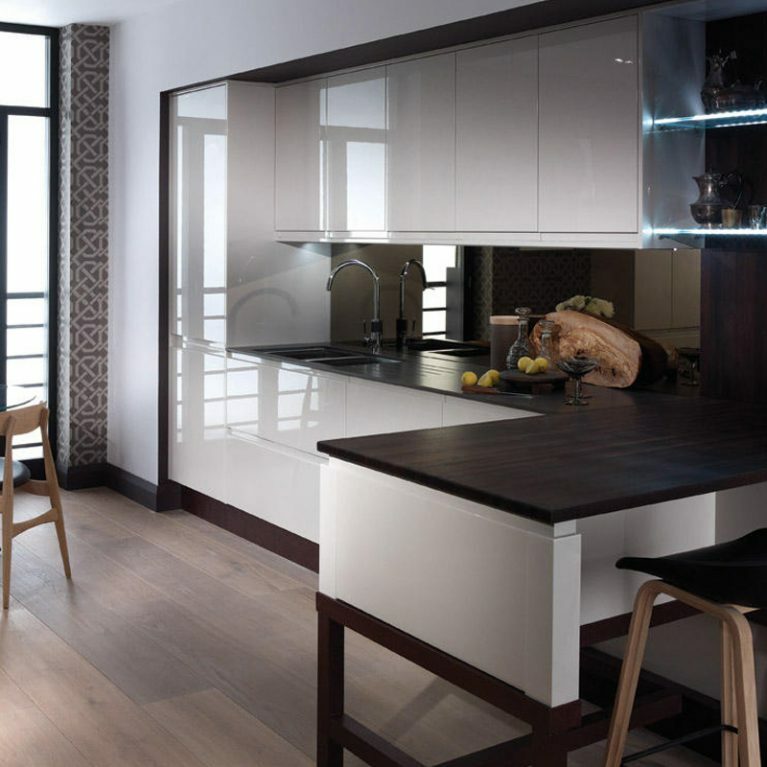 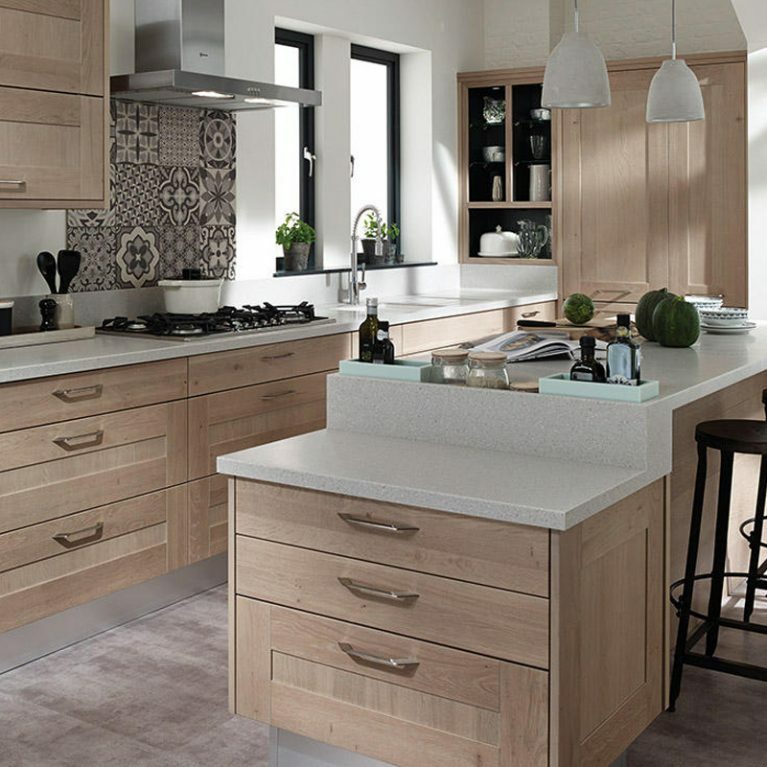 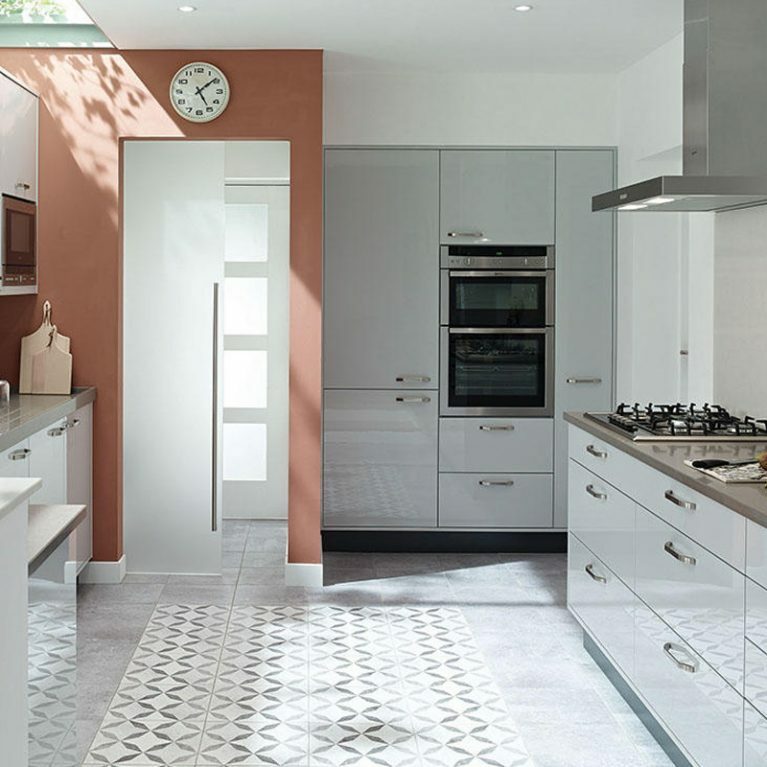 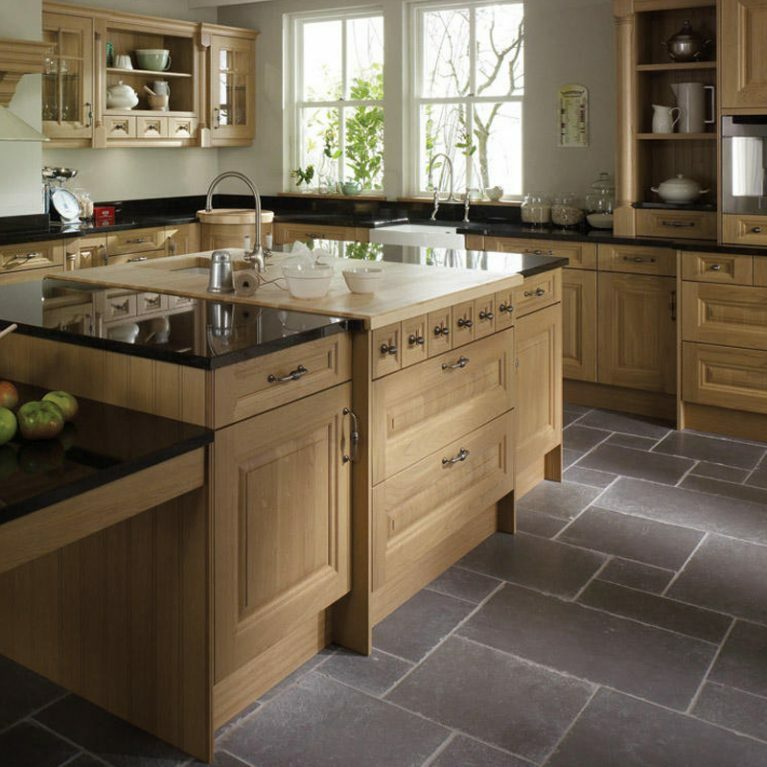 The most exciting part of the Porter Painted contemporary kitchen design is that you can completely customise it to meet your personal tastes and bring your dream kitchen to life. 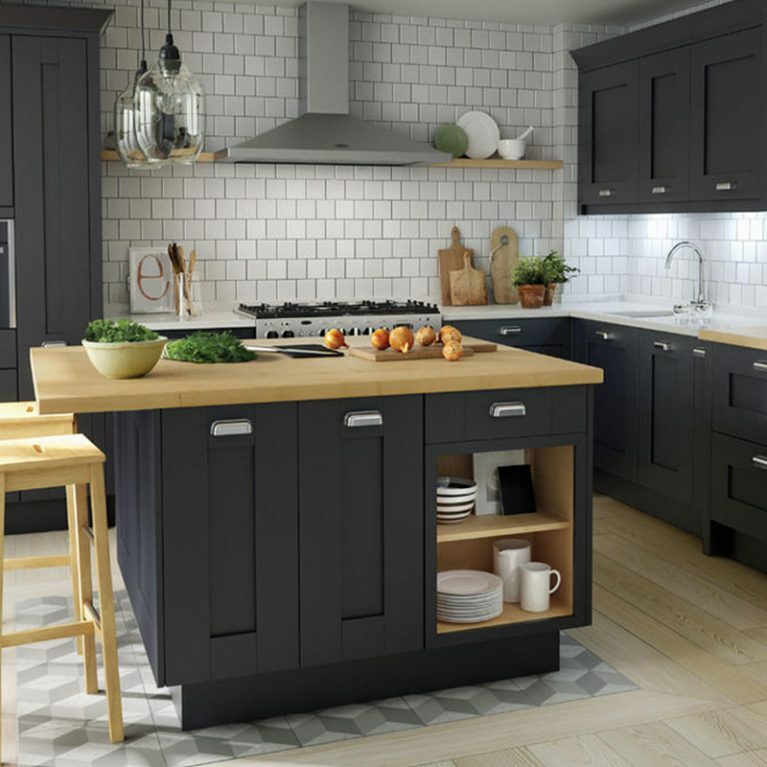 Pictured is the beautiful lacquered finish of the Porter Painted in a striking shade of grey-brown that creates the perfect neutral colour palette. 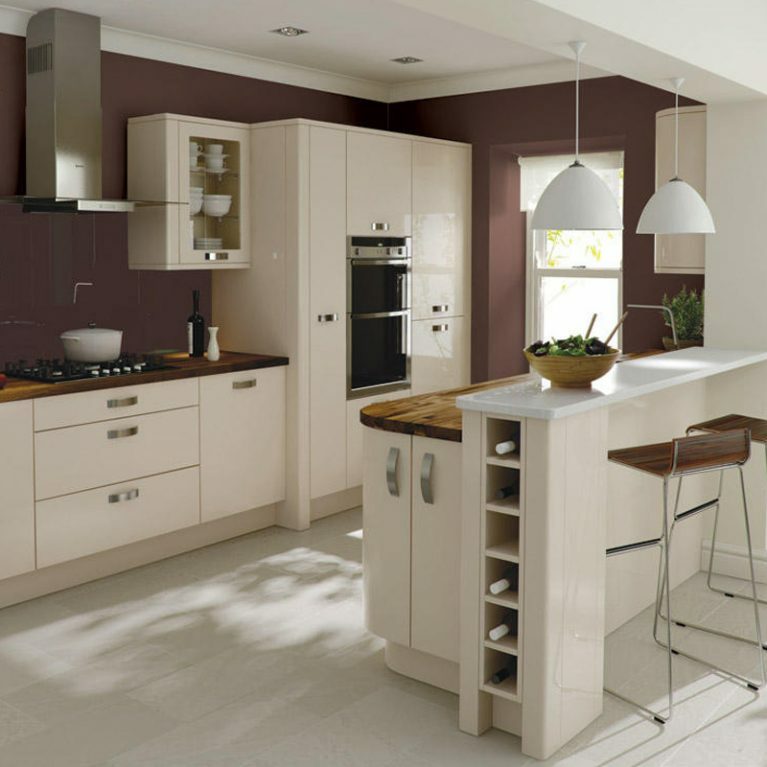 For your Porter Painted contemporary kitchen however, you can choose from a beautiful palette of 27 colours to truly customise your look. 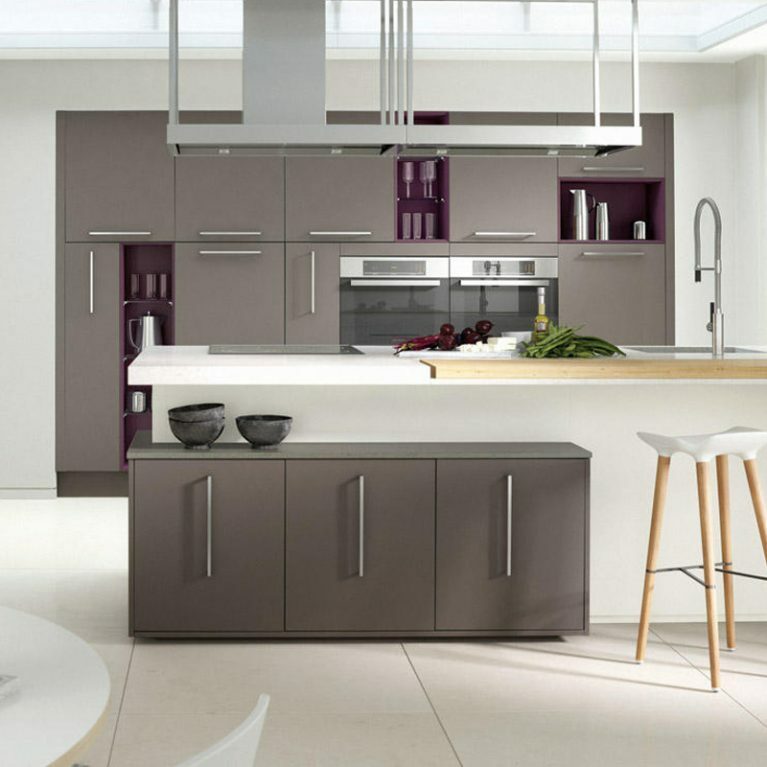 The spectrum ranges from wonderful neutral shades to your more bright and bold colours, each of which is available in a matte or glossy finish depending on your preference. 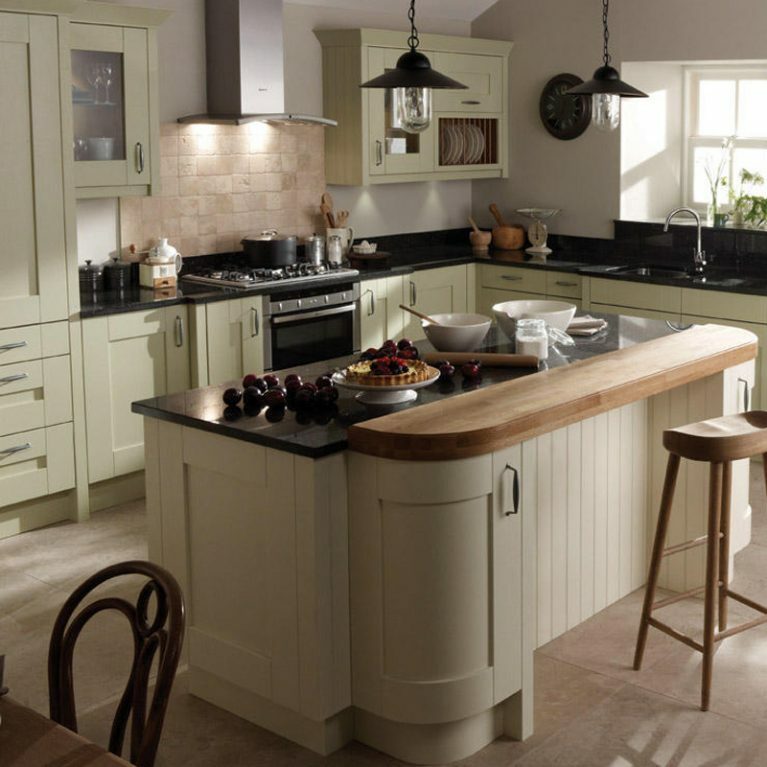 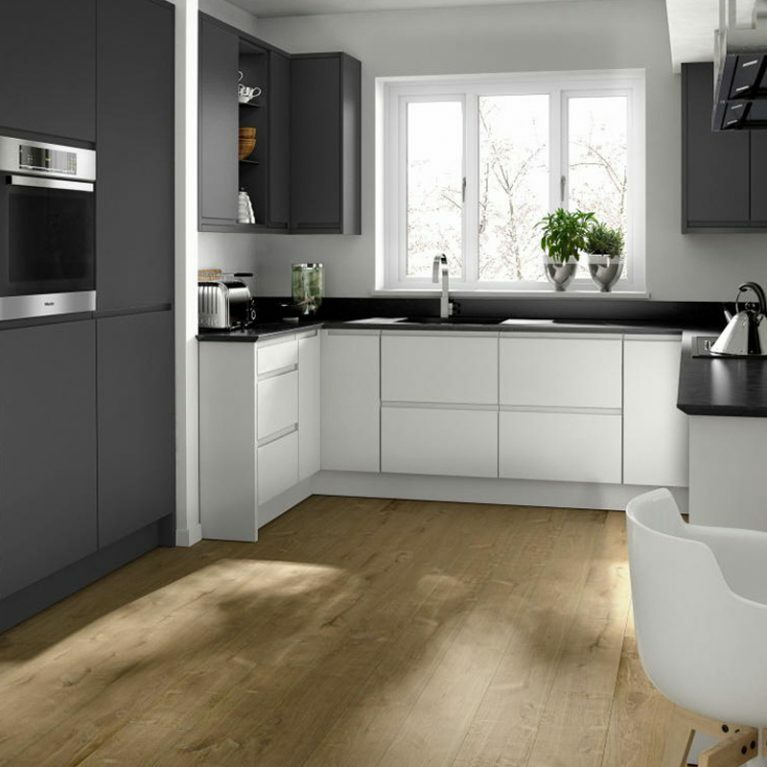 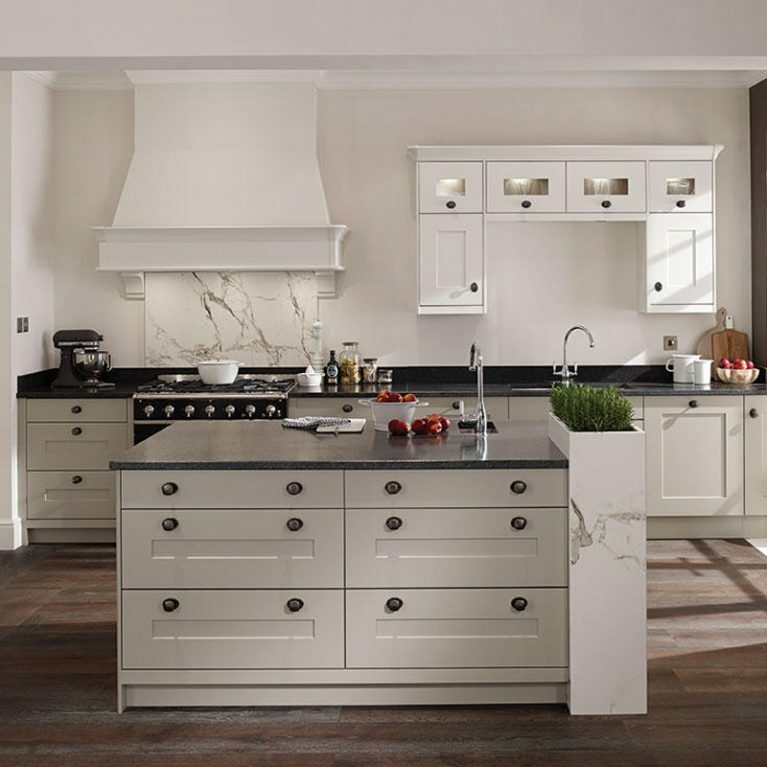 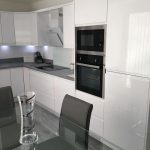 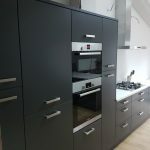 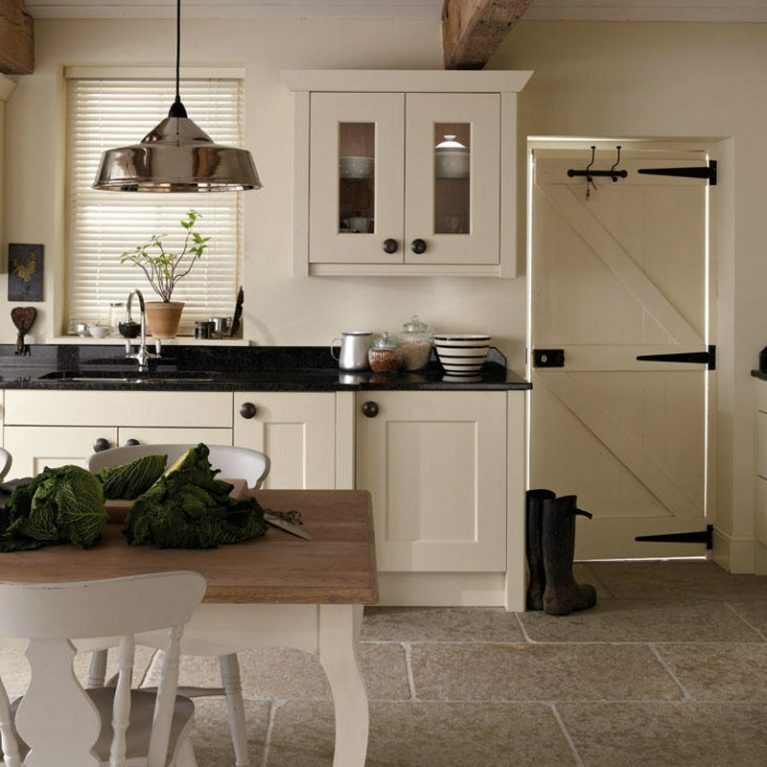 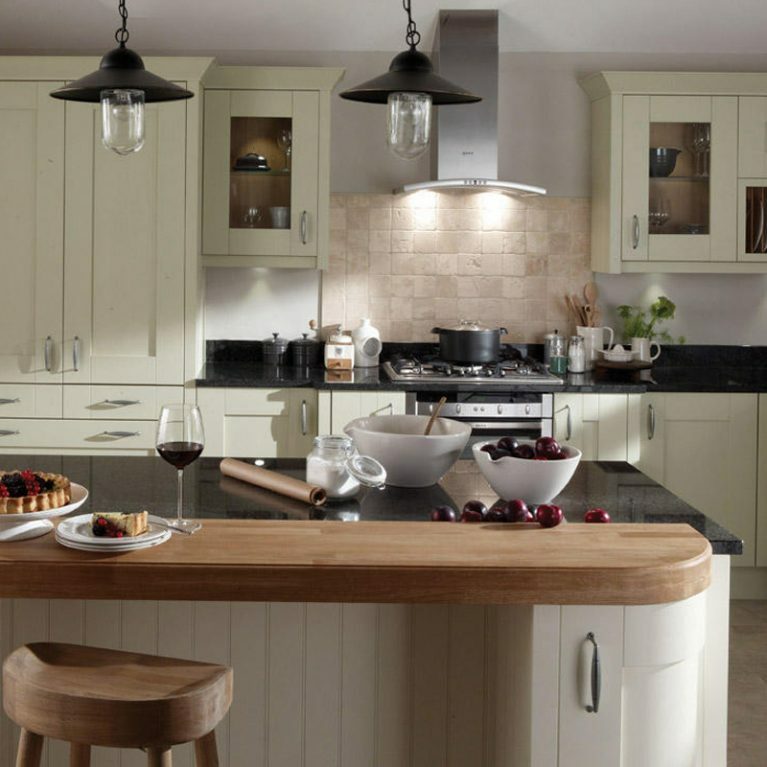 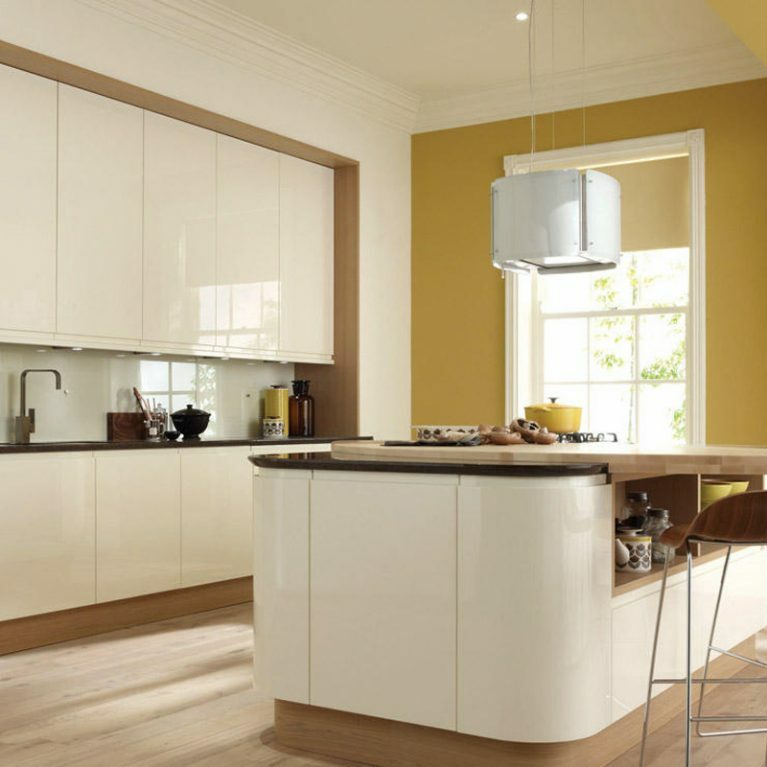 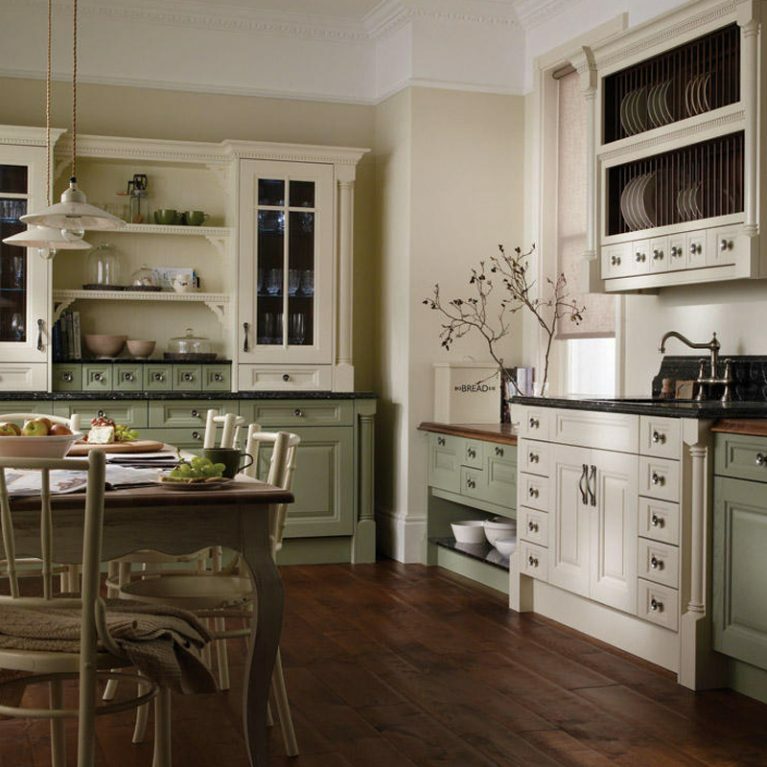 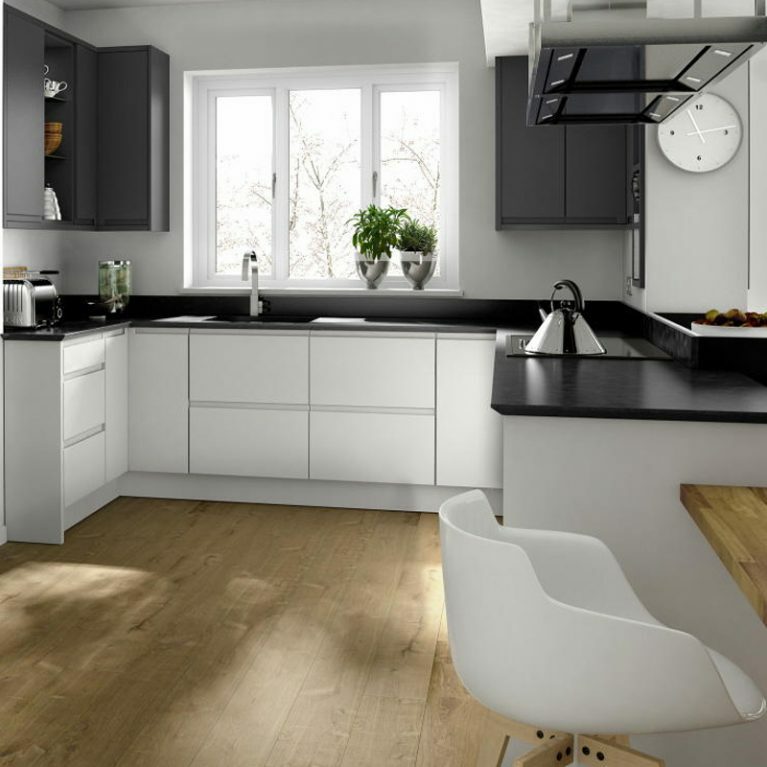 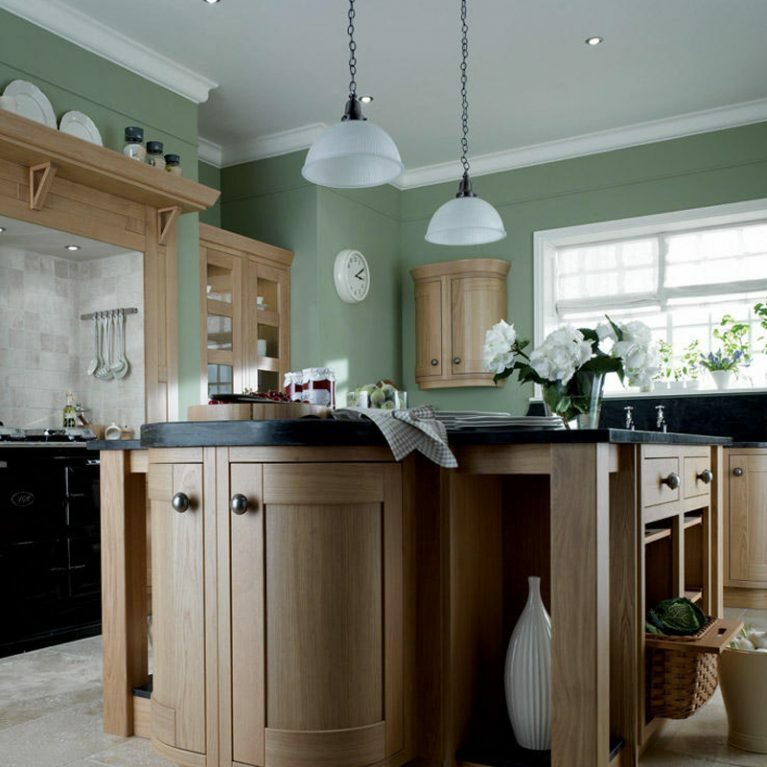 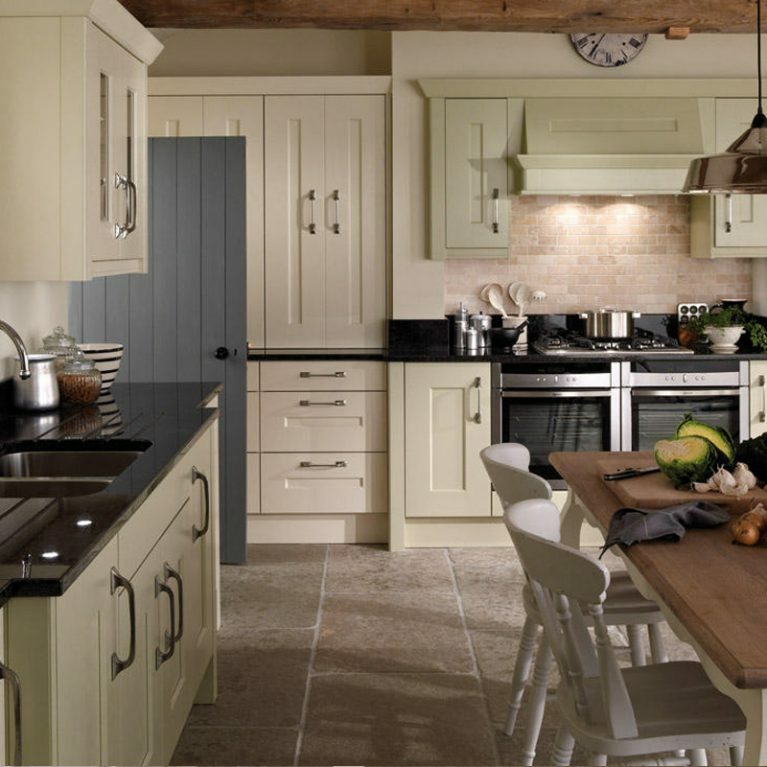 Lacquered cupboard doors line the walls with this beautiful Porter Painted kitchen, offering a glossy end result that attracts the light and gives the illusion of more space, creating a beautiful and bright kitchen space. 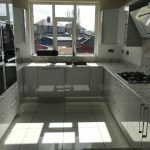 The surface is also incredibly easy to clean. 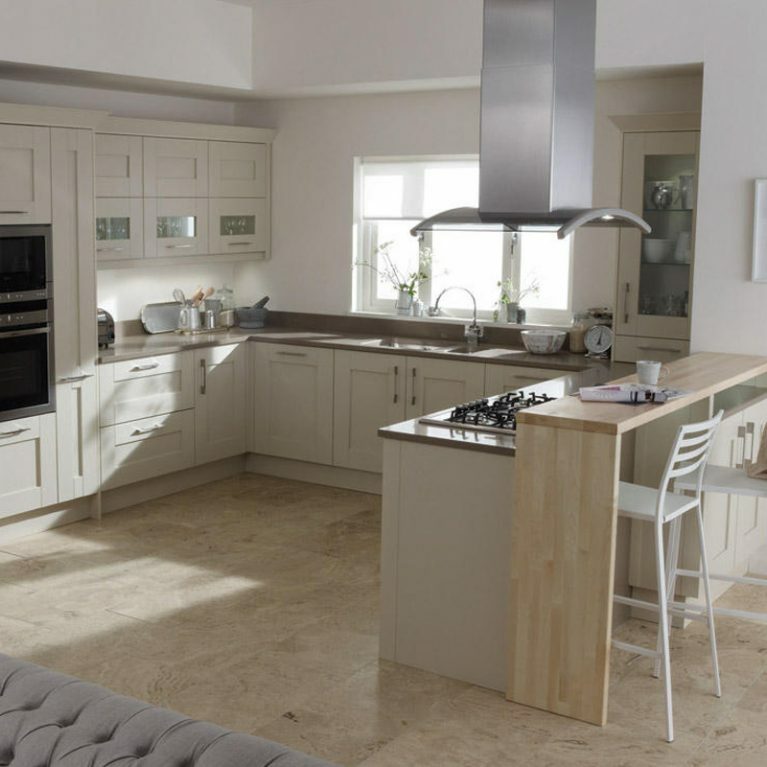 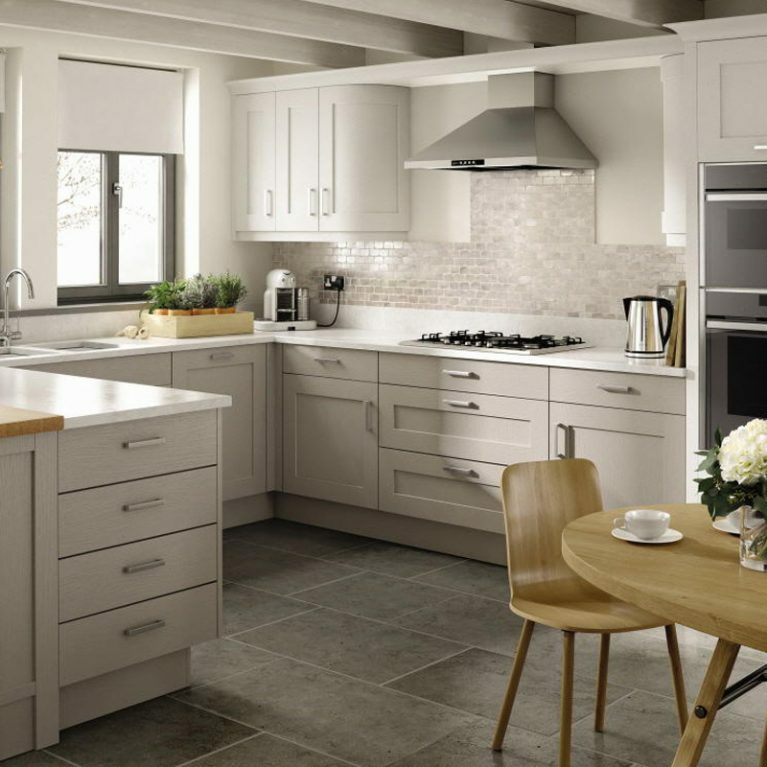 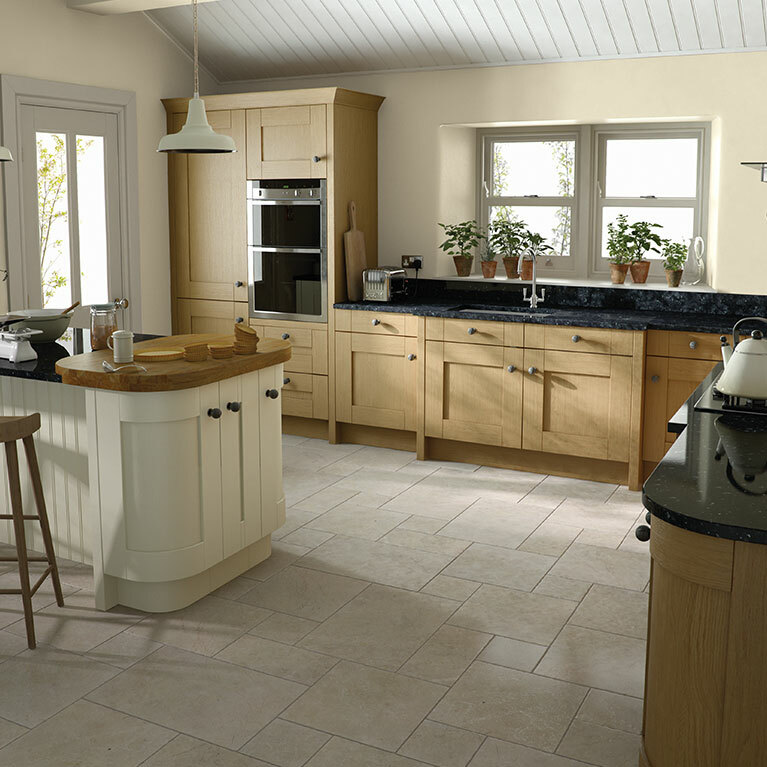 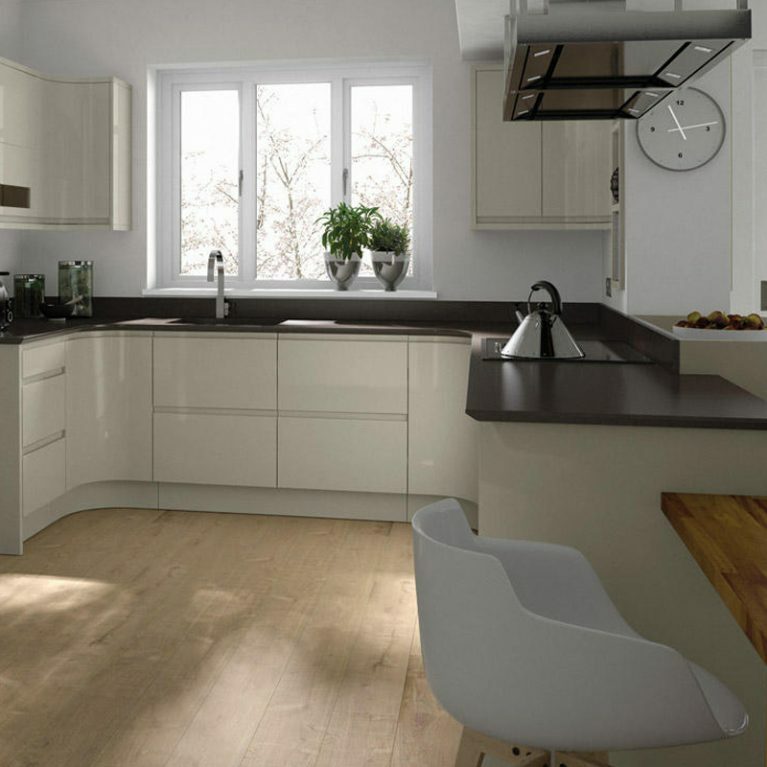 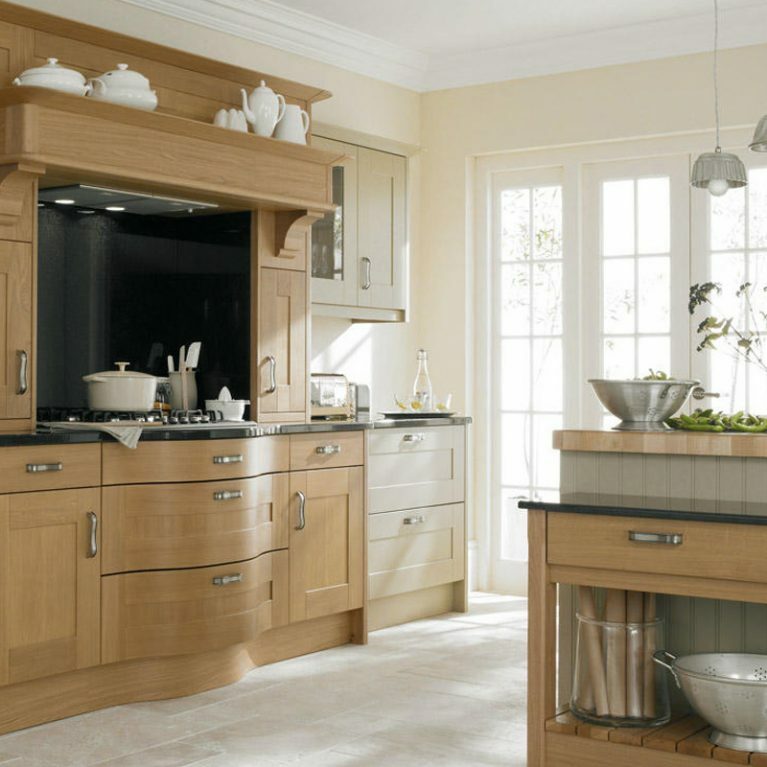 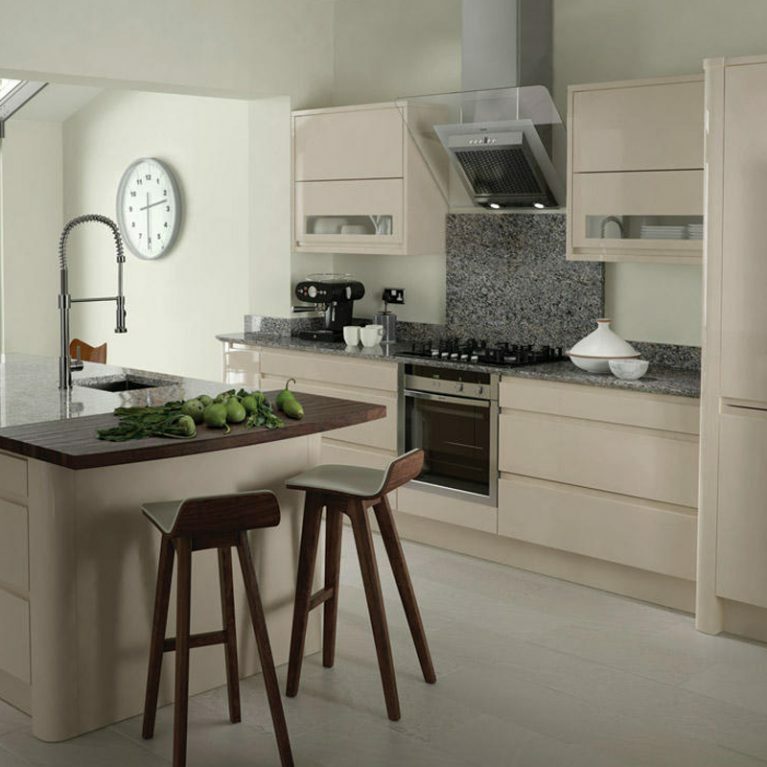 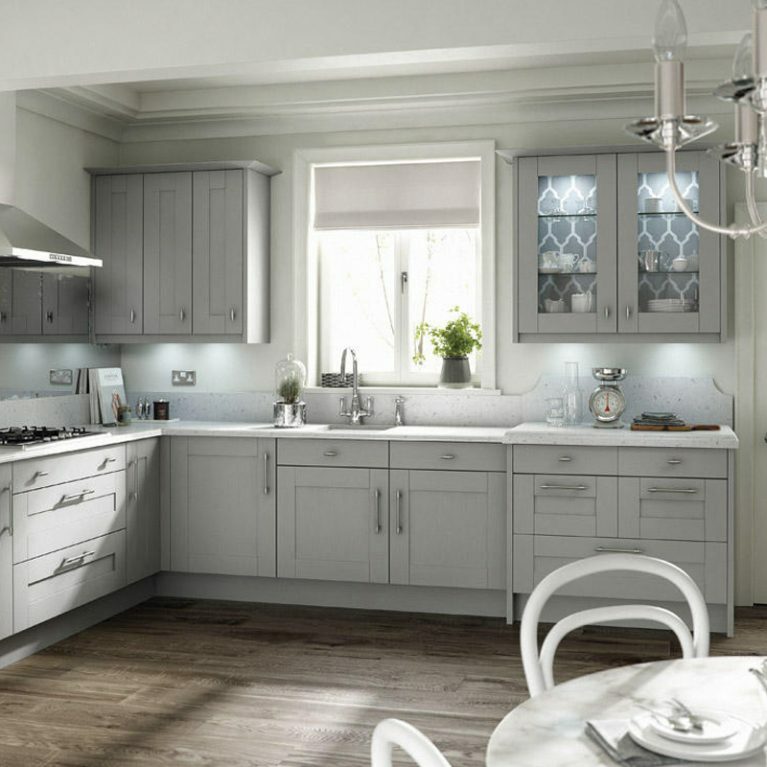 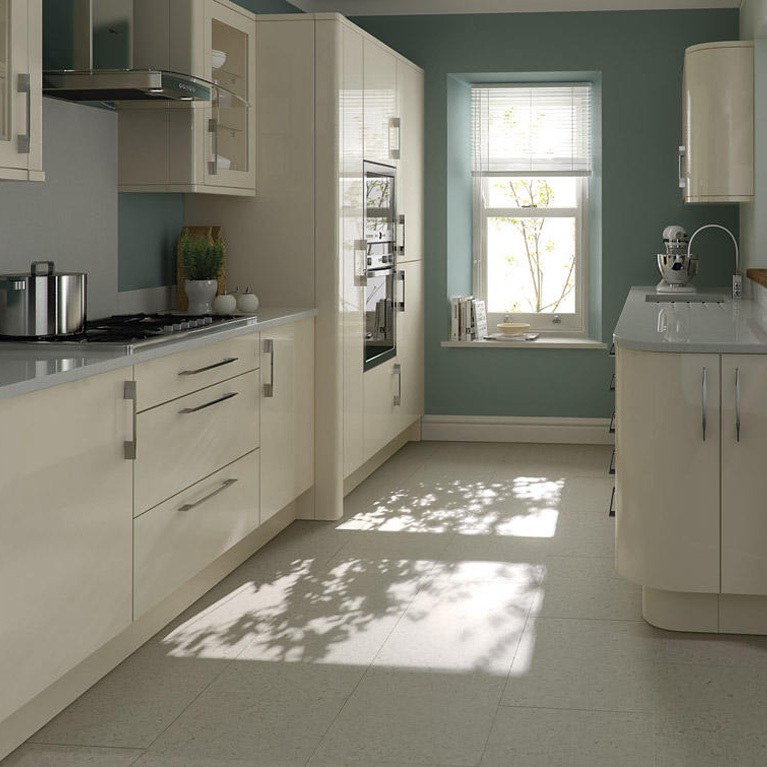 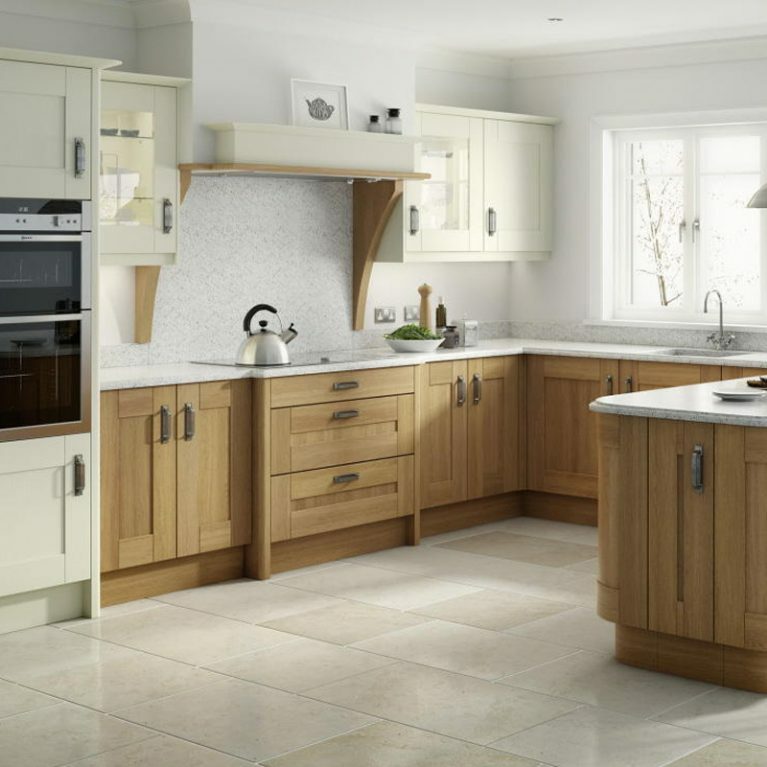 Finished with slender chrome handles, the Porter Painted contemporary kitchen has a wonderful touch of class. 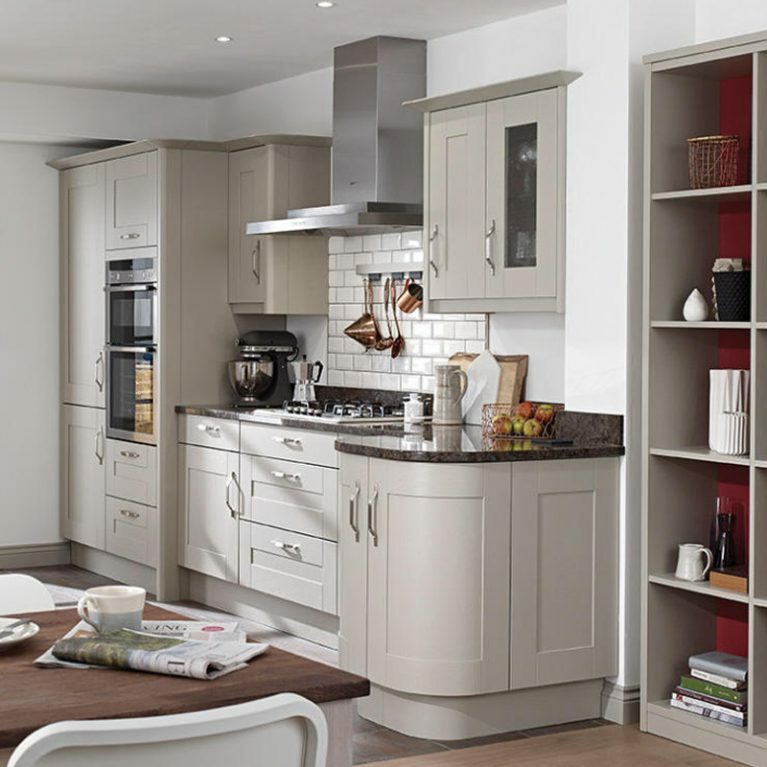 You can, of course, customise your handles, but the incredible range of storage opportunities never ceases. 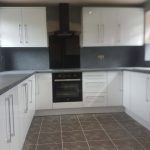 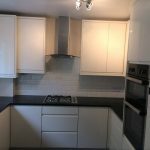 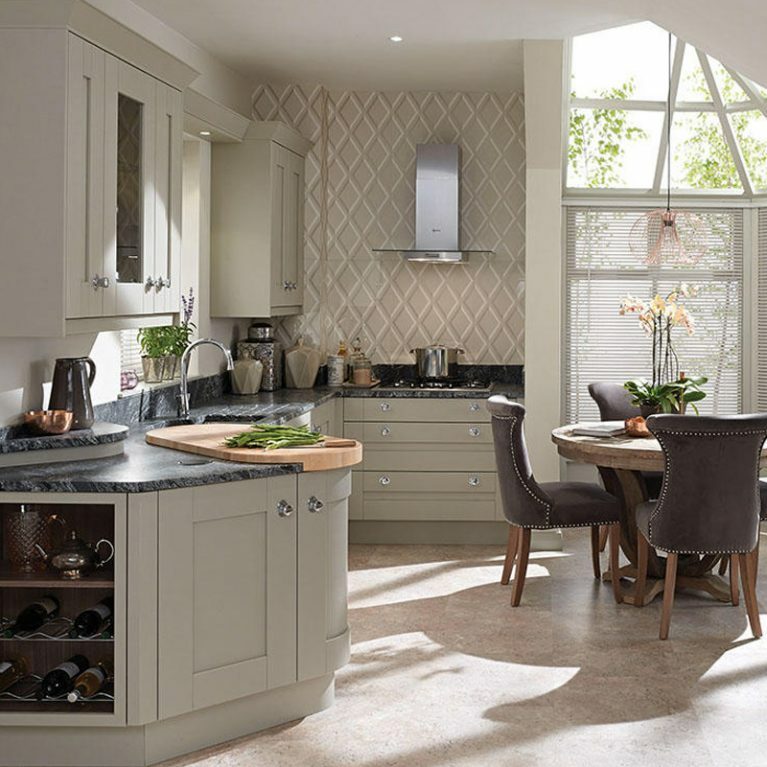 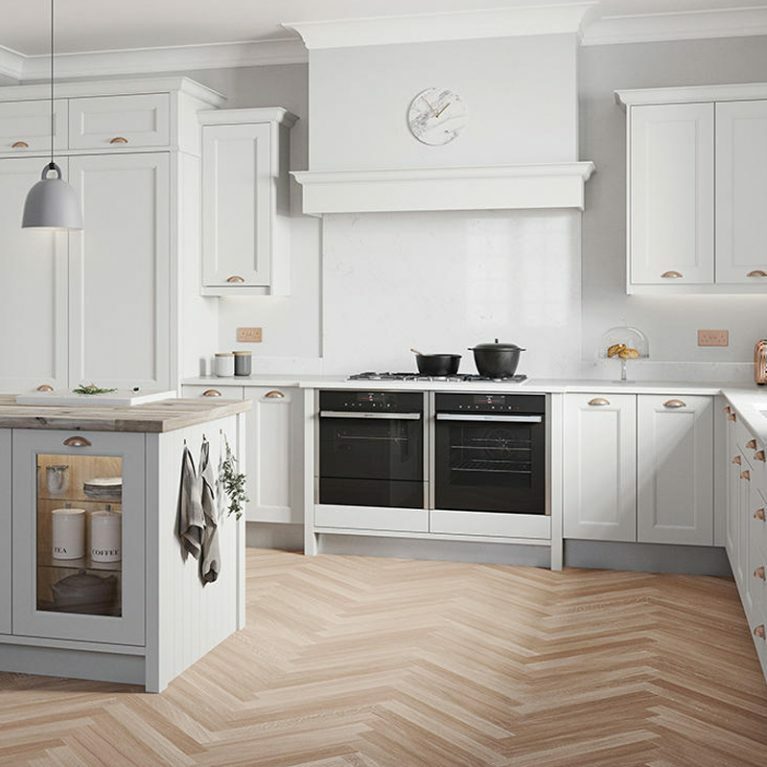 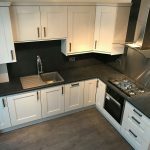 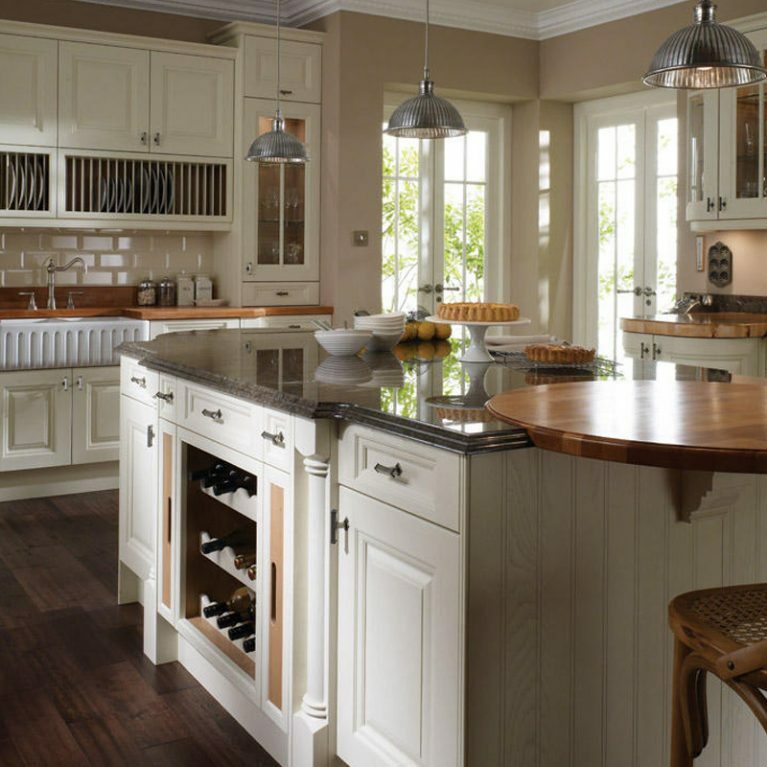 There are a host of spacious cupboards and drawers available for you to fill with your kitchen accessories and crockery, keeping your kitchen clean and tidy to show off the gorgeous Porter Painted design. 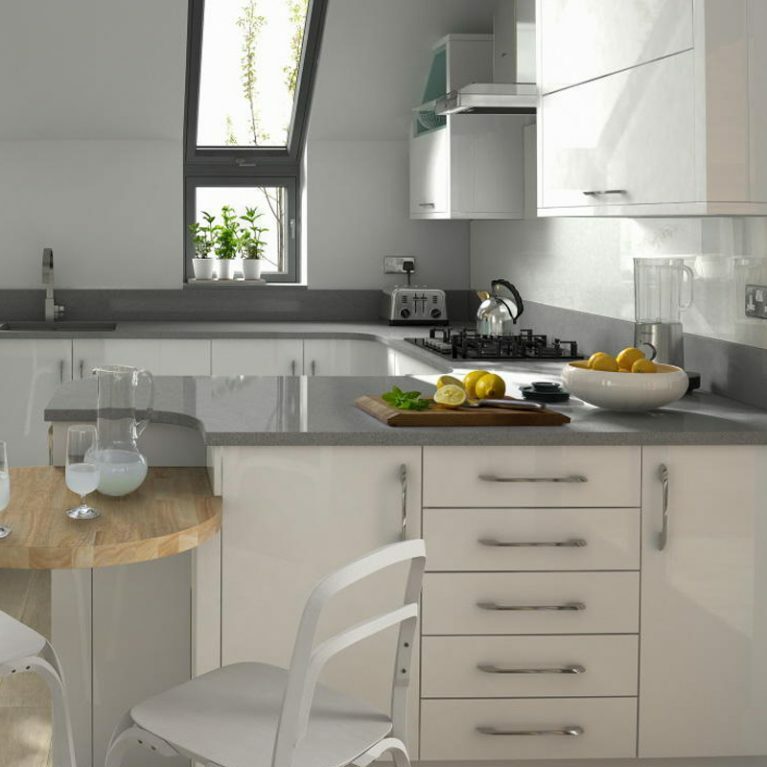 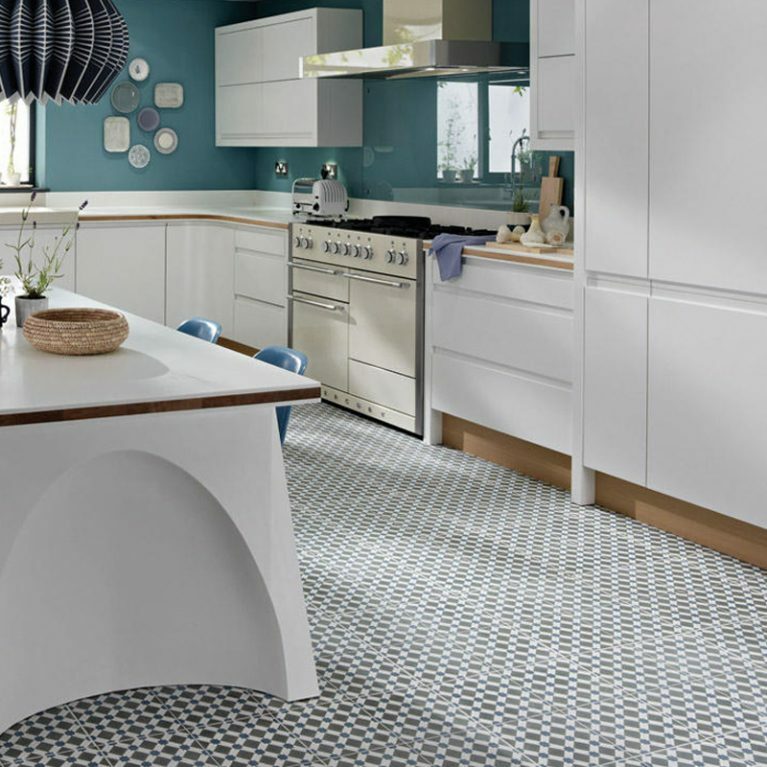 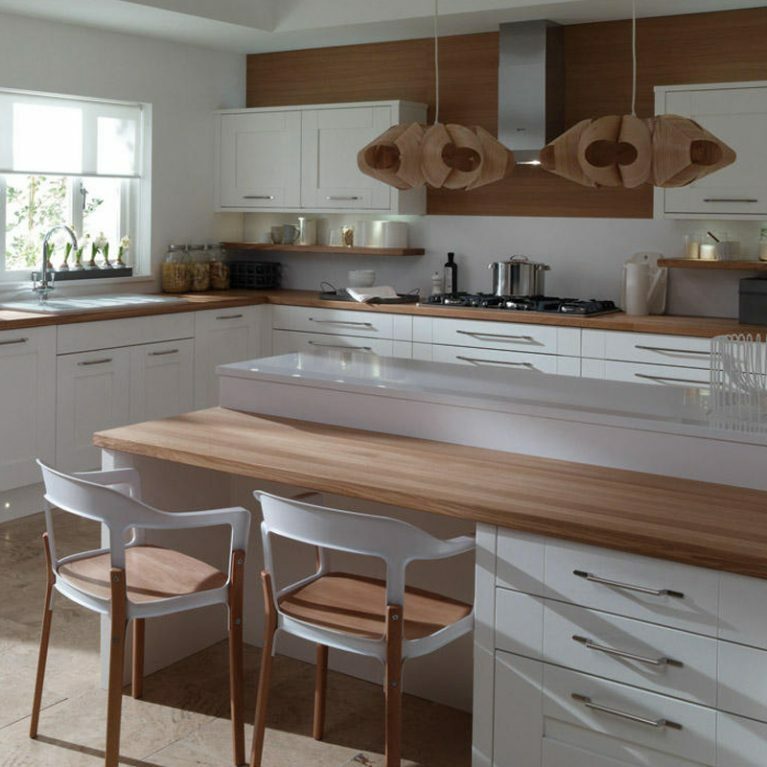 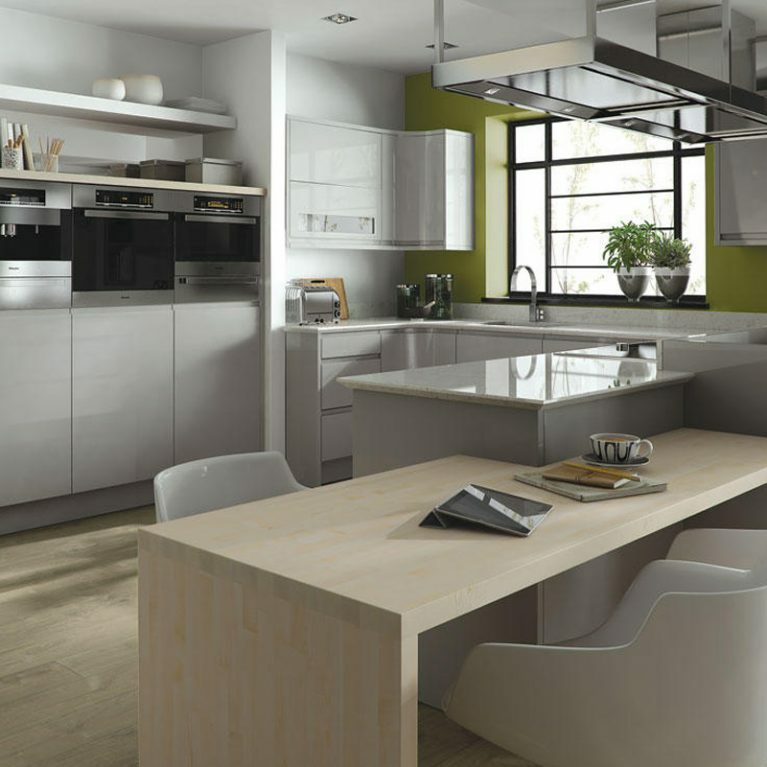 Seen here is a contrasting island space in a bright white, to create a light and shade effect in the kitchen. 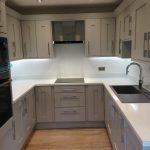 Finished with a beautiful marble-effect work surface, the range of neutral hues at work in this kitchen combine to create the most glorious colour spectrum. 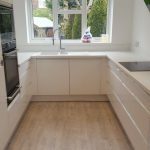 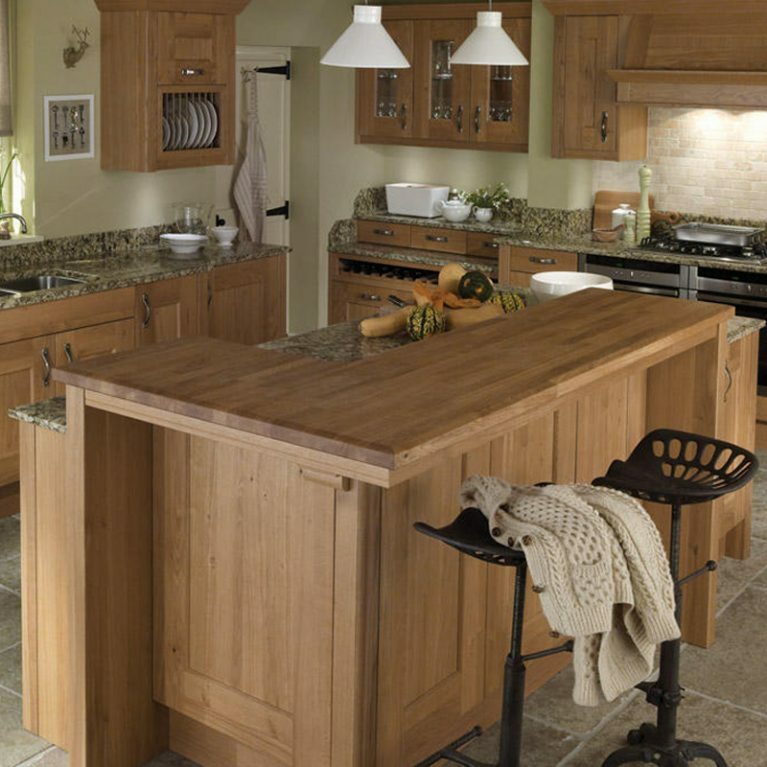 You can choose your perfect work surface, with each one offering you plenty of space for food preparation and entertaining.